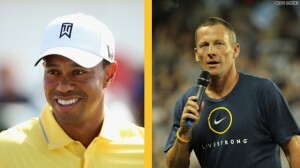 Both spokespeople had severely tarnished their public image, but because Lance cheated on the sport being sponsored, and Tiger’s transgressions were personal, they suffered different fates. Furthermore, while Tiger’s transgressions were abhorrent, he didn’t break any rules or laws. Maybe the difference is more pragmatic than this – Lance’s career was finished, and Tiger has potentially many more years of golf visibility and celebrity ahead of him. Almost overnight, Bill Cosby has dropped from # 3 in trust to # 2,615 in the Celebrity Trust Index. Another seemingly perfect spokesman is now untouchable – many years have gone by since his days as a product pitchman, but unfortunately, a much anticipated Cosby Show revival has been indefinitely shelved. One of our clients was badly stung by their spokesperson. The client was one of the largest financial services providers in Florida. To resonate with their desired audience (older women), they hired a charismatic female performer and former beauty queen who had previously pitched Florida Orange Juice. Shortly after she was put under contract, this spokeswoman launched a highly visible campaign against gay teachers called Save our children, and another against rock music called the Campaign for Decency. Suddenly, the perfect spokeswoman was a PR nightmare. If the financial services provider fired her, they would alienate conservatives. If they continued to use her, they would offend liberals and gays. The solution was an expensive one. They continued to pay her, but they didn’t use her! Our advice is to focus on building an identity that you can control and manage, and prove through promised performance. Don’t rely on others to do this for you.